Take your music collection on the road. 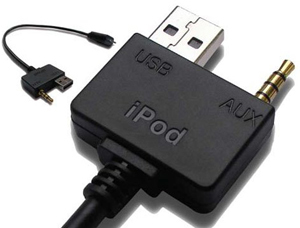 This iPod control cable gives you convenient control and charging of your iPod from your factory installed stereo. The simple one cable connection eliminates the bulky adapter box found with many iPod adapters. This cable is 12in long and features a 30-pin iPod plug on one end and a 3.5mm/USB on the other.